Dude! Your Dog Is Not A Weapon! Oh, Michael Rush. 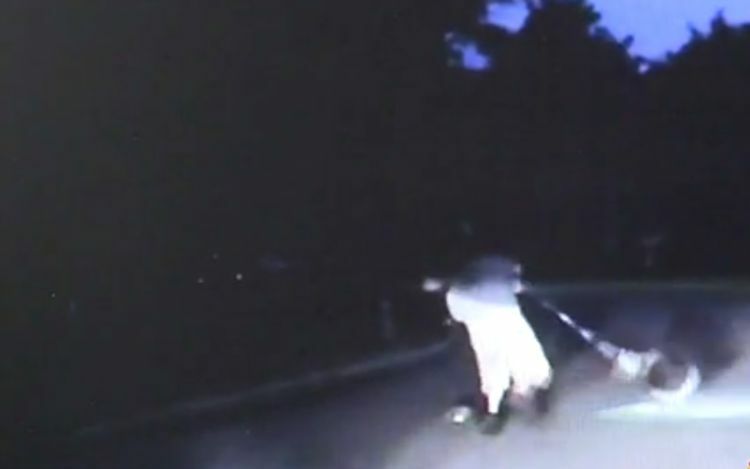 We don’t know what you were thinking when you walked your dog through the sleepy neighborhood of Park City, Kansas, allegedly yelling and kicking fences as you went. We don’t know why you allegedly freaked out on the responding police officer, either. And we ESPECIALLY don’t know why you allegedly decided to tussle with the officer by SWINGING YOUR DOG AT HIM LIKE SOME INFERNAL CANINE TETHERBALL. But that’s what you allegedly did. See? According to KSN, the 26-year-old Rush was walking the dog/weapon “through people’s backyards” when one of them decided to call the cops. 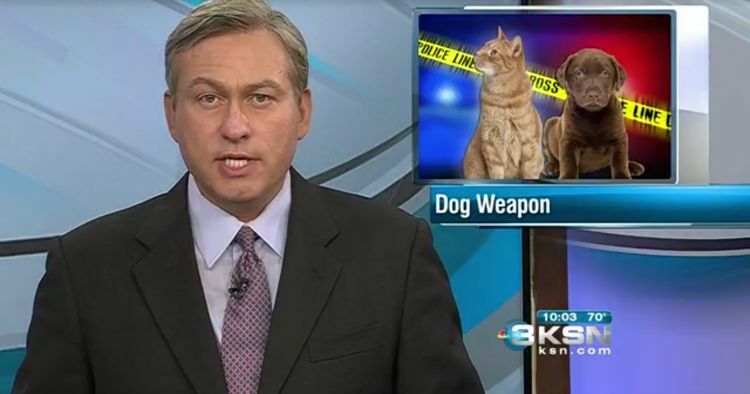 What do I love more, the caption of “Dog Weapon” or how the cat appears to be looking reproachfully at the anchor? I can’t decide! I just know that “Dog Weapon” will be the name of my new band.